Application strengths are quality user interface, intuitive navigation, strong & segmented security. The excel like interface makes it easy for non-finance users to use the application. The SaaS model minimizes internal IT support requirement. Application is highly configurable and our parent-subsidiary model, the application facilitates local empowerment while maintaining parent consolidation and reporting. Dashboard functionality is limited. Database is designed for limited records, we have to choose what level of detail and number of records we upload to maintain performance. Workforce planning/HR module integration needs improvement. 'Core' application and HR do not appear to work naturally together. Requirements gathering and defining outcomes are probably the two most critical elements in EMP decisioning. It is easy to be lured by advanced solutions and various bells and whistles. To enable and use advanced functionality requires detailed definition and parsing of source data which can be a very heavy lift. Focus on achievable deliverables and what can realistically be stood up in your current environment. We use Host in place of GL reporting, for EPM and FP&A. For GL reporting, the application is responsive and investigations straightforward. Accessibility of architecture and native as well as custom reports facilitate understanding and identifying gl issues. EPM is currently under development, although the application appears capable of advanced reporting, metrics and interaction, we are currently executing basic dashboarding with push and drill down capability. FP&A - budgeting, forecasting and monthly reporting are core strengths of the application and have robust functionality. Host's design allows us to track GL and other data and use it to report on and/or analyze just about any aspect of the business. The quarterly updates to the software allow us to make suggestions for improvements that we can then see come to fruition in short time. I wish the user interface for the modelling tool was more user-friendly, and the MDX functionality with the reporting module is difficult to maneuver. Host provides us a with a versatile tool that allows to provide standard P&L reporting and consolidations for a multi-national company while also allowing reporting on other financial non-GL data for world-wide users. Host has helped us accomplish financial reporting, consolidations, monthly forecasting, and annual budgeting. The system has been intuitive enough to help to solve our problems without requiring expensive consultants or significant time from our IT team. Host Analytics listens to its customers and its prioritizes the enhancements to the product and the published roadmap. They've been a good business partner from our perspective. Nothing significant from our perspective. Occasionally, when a browser crashes or something doesn't work you need to rebuild unsaved work; hoewever, it's not a big deal. Make sure you know your process and have an idea of what you want this to look like at the end. The implementation isn't the time to untake a reorg. Consolidation, foreign currency reporting, budgeting, reporting, ad hoc financial analysis. We're able to answer questions and model things that weren't really possible before. "Host took a lot of data and made it usable." Once set up, Host is easy to use. I have a large amount of product data that Host has helped me organize into something I can use in my business. I love how I can get several financial reports with the push of a button each month. It continues to make month end easier for me. Oh yeah, I use it for budgeting too. I originally got into Host for budgeting and it has been great for that, but I have found it great for many other things. I also love the way it can grow with me. As I use the software I realize there are more things I can do. Host customers for life team is always there to help me when I explore these possibilities. It can be difficult to set up a report template. Once set it is good and there are no worries. I would like to feel like I understand how it all works better, but that is a time consuming endeavor. Thankfully there is always someone available at Host to help out. 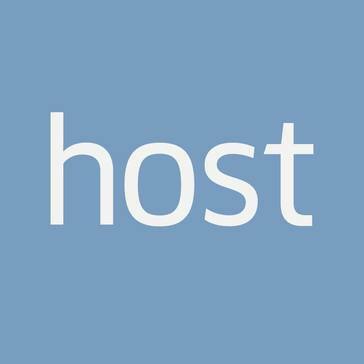 I recommend Host, it has been a great asset to me. Understand it is not something you can use without help from Host, but programs of this type often are not. It help organize a lot of product data and made it usable. It made the budgeting process more organized and helped my monthly close become a more automated process. Flexibility and easy of use in the reporting, consolidation and planning. The system is easy to customer ize to the company and the individual users. The system has added information that driver the right questions and aloows us to ask the questions in time to make the changes we see are necessary. We have cut our close period by half and it has added to the work life balance. Prioritizarion of enhancements. There are alot of very simple enhancement that would improve functionality. They are minor issue such as formatting that eats up time after you have created the report you want. There should be a tier system to input for enhancement that includes quick updates. Do it now, the soon you get started the sooner you can start saving time and money. COnsolidation and planning. We have 2 ERP's and 2 charts of accounts and the Host application has made it easy to report. The easy of cusomization in the consolidation module allows us to change with the improvements we would like to make as we gain experience. "well rounded software that allows for increased automation for financial reporting and processing"
I like how Host is able to access all of our financial information from our ERP system and then report our information in a way that is user friendly for non-finance business members. This isn't necessarily a bad thing, but I dislike how much I don't know about Host. Coming to the conference has made me realize there is so much Host can do that our company and myself don't know about. Host is a great tool that allows all business members the ability to access the information that they only need rather than all financial data. We are currently solving our financial reporting and budgeting/planning process with Host. We have seen a significant increase in our efficiencies for budgeting. We also have the capabilities to allow our manufacturing plants to see real-time financial data rather than having to pull reports out of our ERP system and formatting them in a user-friendly manner. - We have noticed that sometimes our calculations do not populate correctly and the locked feature keeps that from occurring. I do not like the fact that you need to save each individual template (or use the simulation engine) in order for some of the templates to work as set-up. They should automatically update. Spotlight XL EBR is the most useful part of Host Analytics in addition to the reporting tool within the online interface. It seems as though many people don't use spotlight XL EBR, which I am shocked about. We now have one repository for all our reports. This has solved several errors we discovered from having externally-linked excel workbooks. When the product is working, it ensures data reporting accuracy. "Good tool with terrible support"
The ability to manage scenarios and different plans. Many of the features are pretty handy, but adoption has been hard because getting the people up to speed has been a challenge. The support experience has been less that appealing. It's nearly impossible to get a live person to talk to about a support ticket. Tickets are entered into the portal and they may or may not be addressed even with high priority. My team has been stuck waiting for days for a response that is helpful. We've had support people just cut and paste boilerplate articles that had nothing to do with our problems. It's forced us to take on additional expense to get support from one of the partners because they will call us back. Maturing the information technology areas ability to manage their budget.and improve the overall discipline around our IT spend. We also need to get a clear picture of the project spend. "The next step to a better business"
Host gives you a way to upgrade your processes and reporting. Giving you more time to focus on the business and less on the mechanics. After seeing everything that Host has to offer and what is to come there is nothing that I have seen or used that I dislike so far. Go for it! No matter where your business is at or how many departments you can benefit from Host. There are so many different levels and uses with Host that it fits any company's needs. We are easily creating reports without having to create formulas, tick and tie, push data etc. We are now able to populate a report each day, week, month in a matter of minutes and have all the most current data needed. Giving us the time to analyze and work on improving the business. "Host Analytics for Planning/Forecasting and Reporting"
I like the useability, our users easily adapted to the templates to enter plans and update forecasts. They loved the Excel look which made training easier. I also really like the reporting functionality, especially utilizing report collections and scheduling of jobs. We have reduced our time to prepare the monthly reporting greatly, and we now can push reports out to our users automatically which is a huge improvement. The helpdesk, customer service is really good. Not all the modules have the same reporting tools, and should. The functionality in the HR module and capital needs improvement, although it is still a huge improvement over our excel worksheets and calculations. There also seems to be a few to many steps to get to the end results, and you have to be sure to walk through the steps to ensure the correct results. Huge savings in planning and reporting processes. Our managers update and input their own plans/forecast directly into host so it improves the accountability, they own their numbers. Our process is quicker and more flexible. It would take us weeks to add a new location in all of our excel spreadsheets, it is much quicker now using host. We use FPP for our reporting package and it cut the time for our monthly results package more than in half. 50% of our monthly package comes directly out of host, so easy to run and distribute. So much less maintenance required. "Host has been a fantastic upgrade of our budgeting and reporting software." Host has been much easier to use, has more flexibility, and we are constantly trying to build on our current knowledge and use Host to streamline our monthly activities as much as possible. We use Host for reporting, budgeting, and forecasting. We are implementing Spotlight within the next 6 months and we're excited that ad hoc reporting will be a lot quicker. At times, I wish Host would run a tad faster. I also wish that the workforce reporting was a bit more robust and was able to report on actuals so we can create actual vs. budget reports. Host has decreased the time it takes to do our monthly reporting package. We love the drill down feature as well, this enables the department managers to be more independent by being able to pull this information themselves. We like that we now have the ability to store all of our financial data and reports in a cloud based application. Anyone who needs to view the data and/or reports can easily access the information at any time. Occasionally, our team has experienced the Host application running fairly slow, however Host now gives us the ability to use the application in Chrome, so the speed has improved quite a bit since we switched over from Internet Explorer. We do still experience some slowness around year end, though. Storing all of our data in one cloud based database as opposed to a huge excel workbook with many, many spreadsheets. We are able to consolidate our financials must faster than before using Host Analytics. "Powerful tool that can be picked up by a typical FP&A users"
As an FP&A user, my data aligns with accounting data, and I can merge it with operating data. I can easily combine data from different systems and build reporting in a single spot. The ability to bring data directly into Excel with the SpotlightXL tool is a MAJOR plus for FP&A users. The Workforce Planning module takes a lot of maintenance. There is no easy way to match new hires with planned hires. It requires a lot of manual work. We have to keep almost a full FTE worth of time just keeping WFP updated. Be sure you have 1-2 people internally that can truly spend time learning the product during the implementation. It isn't hard to learn, but internal expertise is invaluable. Take the time to learn SpotlightXL (the Excel tool) if you plan to build complicated models. SpotlightXL does have a real learning curve, but you can solve some a lot of problems with it. We distribute our planning and reporting to business users. All business users now have access to their numbers. We have also replaced manual Excel based reporting, nearly eliminated data errors in reports. "A Partnership. Not Just Another Software Vendor"
After completing a very thorough vendor review process, I ultimately decided on Host because I believed in their partnership philosophy. I felt that several applications could have met my company's business needs but they would have been just another vendor. Host Analytics provided me with confidence that if I partnered with them, I would not fail in this endeavor. What I like best about Host Analytics is that they, along with my implementation partner, Bright Point Consulting, have met or exceeded every expectation I had in this regard. Both companies continue to offer unparalleled support. True partners indeed. Host was originally constructed for Internet Explorer (as opposed to Chrome, IOS, etc.) and is continuously working toward becoming "browser agnostic". Some of the functionality does not translate across all browsers currently and as someone who prefers to use Chrome for everything, this can be frustrating at times. With that said, each new release offers improvements so I'm confident that the issue will be unnoticeable in the very near future (within the next 6 months based on my understanding). Host Analytics has dramatically reduced the time it takes to produce a forecast. Before we implemented HA, we struggled to complete a single mid-year forecast each year that was already outdated by the time it was published. We are now completing quarterly forecasts and higher level monthly "flashcasts". By 2017 we will be on a monthly rolling forecast schedule. Its user friendly and has many possibilities for a consolidation software. There are many automated features which makes it easier for manager position to use. The implementation did not go well at all for my company, the consultant firm that was assigned to us was not competent enough to follow. Many mistakes were made during implementation that could not be changed afterwords. It s a good product however the company has a hard time with implementation as they need to better understand the customer s needs. Mostly consolidation, however, that module is not working well due to mistake make during implementation by BrightPoint. Reporting are made easier with Host versus Sage (our ERP system). Well organized. Showed the product, and the possible future enhancements. Really glad with the presentations were to demonstrate add-on software from partners, they were clearly advertised. The rooms were very nice, but some times very small for the crowd size. Also for the day #1 training, round tables were used which was very difficult for many to work with. As new users, we are gaining familiarity with the software and its capabilities. What I have run into is the issue that I have more fields that I want to import into Host than is possible. I want to be able to report on non-financial metrics and am not able to. "Host Analytics has given our forecasting process a boost.....and more!" We initially purchased the product for forecasting but it covers a lot of bases for us now: Forecasting , Budgeting, Workforce Planning, Management Reporting, Constant Currency Reporting. We have found it to be a robust system that we in Finance can easily maintain. This has given us great flexibility in configuring the software to meet our needs without incurring a lot of costs from our outsourced IT partners. It is very easy to train new users since it has the look and feel of Excel but with loads more capability. The fact that cloud updates flow through seamlessly is an added plus. We would like even out the use of this product through the year. Right now, we tend to use it at month end for reporting out our close, quarterly for forecasts and annually for budgets. We'd like to get our data loaded in automatically so that we can start to use this as a tool throughout the month to analyze our data. This is feasible but we just need to find the time and resources to auomate our loads. Very much worth more than just a consideration. Very cost effective product and can be supported within Finance without IT. This was a huge plus for our company. We initially needed a product to help us with our quarterly 18 month rolling forecasts. It has been a godsend to our forecasting process. We've shortened the process and increased the amount of time available to analyze results as opposed to building the forecast. It has done the same for our annual budget exercise. We've also been able to add comprehensive workforce planning to both our forecast and our budget at a level of detail that had not been previously possible. Reorganizations and changes are significantly easier now. We've also seen a benefit from improved management reporting. We can finally report actual, budget and forecast from a single source. Very pleased with the product. "Great cloud based solution for F&A teams of all sizes"
Host Analytics is great for ad hoc reporting and building a report or modifying an existing report can be done in a matter of seconds and it takes no special knowledge of computer coding (our application is completely supported by Finance). It does an excellent job of integrating MS Excel functionality into a web application and allows organizations of all sizes to quickly and efficiently report, forecast, budget and analyze their business. They also have a great customer service team that is responsive and knowledgable about their application, but more importantly what F&A users go through on a day to day basis. The speed of the application (loading pages/reports, etc.) can be slower than desired at times. Dashboarding is improving, but lags behind other specialized dashboard applications in ease of use and speed. If you're not in the cloud yet for F&A solutions you should strongly consider it and Host should be one of the solutions you look at. They are customer focused and consistently improving and truly understand what F&A goes through. Our company uses Host for Forecasting, Budgeting, Reporting and Analysis. Ad Hoc reporting is quite easy with Host. Building a report or modifying an existing report can be done in a matter of seconds and it takes no special knowledge of computer coding or a request to an IT group. Our Host application is 100% supported by the F&A group, no IT support. This reduces the burden on our internal IT team and also give us in F&A better ability to make changes on an as needed basis. Host does a great job of integrating MS Excel functionality into a web application. We are all familiar with Excel and the power of that tool, but also know what it's like to get stuck in Excel Hell with multiple versions of a spreadsheet, or a broken spreadsheets. Having online templates allows F&A to be in control of input templates, which are easily accessible by all who need to see them and user/security management is simple and easy to update. The Host customer service team is always willing to help if we ever run into a problem. The company has a customer first attitude that comes through in everyone you deal with. As a web based platform there are at least quarterly product releases and new functionality is being added all the time. Much of the new functionality is based on custom request and the company is willing to listen if you have a need or idea. "Great planning and reporting tool for any business"
Creating and distributing high-quality reports is easy in Host Analytics. The reporting tool is intuitive to learn and functions much like a pivot table in Excel. Common report sets can be created to be used in multiple reports, so you don't have to recreate the wheel for each one. Using the cloud scheduler, reports can be emailed automatically, greatly improving our team's efficiency. The workflow doesn't quite work for our budget cycle. Every budget template must be complete before anything can be forwarded for approval. Our process steps are completed at different times, so this just doesn't work for us. Reporting on statistical items like headcount can be difficult. Using this tool, we can have several different forecast scenarios within the same time period, so we can compare them and make informed decisions. "Host Analytics is proving to be a tool we can grow with." We are new users but I am already finding ways to leverage the ease of report writing. On several occasions, i have been asked to build a report or provide an answer within 10 minutes. Host has meet the challenge each time. I like the ability to take report layouts and reuse them for other reports that pull different data points. We are also using the planning tool and workforce planning tool. These have freed up our time by pushing out the budget entry task to the departments who own the data. This also reduces the opportunity for keying errors. The strongest feature I like about Host is the support. The community of users willing to help you with questions, the Customers for Life team available to show you how to work through a problem, and the support staff with quick responses. It is difficult to point out something we do not like about Host. Most areas of frustration are self-inflicted. Our General Ledger was designed around using multiple dimensions to track cost. Host is best used when your GL is more straight forward. An example is the account employee health insurance. We use the same account in Indirects as we use in SG&A. The Department determines where the entry shows up on the Income Statement. Host is capable of handling this distinction but we lose the drill down feature. To work around this while we redesign our GL, we built specific reports for each department. As you match Host against the other products, consider how well the product will hold up in the future. This was the deciding factor for us. There was a product we liked about as well as Host. It was less expensive and looked a little less involved to get set up. But it did not meet our test for future growth. Host is continuing to improve its product through interaction with it's user community. That is a product that I can put my trust into. Prior to Host, it took us a week to close the books and provide management with reliable reports. That left us little time to analyze the results. As stated above, we are still new to the product, but we are already seeing some benefits. We have moved excel schedules to Host and allow the system to populate the data. This cut down on manual task and additional verification. On the planning side, we use Excel to capture and report budget numbers. As the budget evolves, these numbers and schedules have to be updated. Version control is nightmare. This budget season, we used Host to replace most of these excel schedules. Now the Dept. Managers are responsible for entering their budgets into templates. I am very impressed with Host Analytics' commitment to improvements. Every new release provides substantial gains in functionality, compatibility, and user experience. The Cloud Scheduler enables the analyst to automate the compilation and delivery of recurring reports to decision-makers across the business. This allows us more time available for process improvement and business partnership. Scenario management makes it easy to create and maintain multiple scenarios at one time and pivot between them easily in reporting. Easy deployment and user management has allowed us to circumvent IT for most support and allows us to quickly roll out the solution to new users across the business. I would like a bit more compatibility on Chrome, but I know this is something Host Analytics is working hard towards doing. Also, the advanced reporting capabilities can be a bit difficult to understand in the beginning. I would like to see more user-friendly nomenclature which would allow for more self-service for our users across the business. Currently most users rely on us to create advanced row and column sets for them, due the difficulty in creating them. I would imagine IT departments are relied upon as well for report creation. We believe that Host Analytics is the best CPM solution on the market. They are committed to excellence and customer service. The most poignant issue Host Analytics has resolved for us is collaboration. It has allowed us to collaborate with business users all over the globe. These users are able to input the most up-to-date data into the system and have access to real-time reporting to see the effects of those changes. We have also been able to automate many processes using the Cloud Scheduler, which has freed us up to focus on process improvements and allowed us to be better partners to the business. "Excellent Speed, Flexibility and Accessibility"
The cloud hosted, always available environment makes sure we can always access our important data from anywhere. We use Google enterprise for our business, and Host requires excel for SpotlightXL (and Windows Excel, not on Mac). Ease of use is top of the line. Cloud always allows us to get to the data we need to make decisions. Our business has multiple manufacturing sites which use various ERPs. Host gives us a consolidated and consistent reporting structure that we can share with key stakeholders that don't need a degree in Management Systems to understand. "overall, we have not gone live and have run into numerous intergration issues." i dislike that security is so complex for the end user. I also do not like that it has been a difficult integration and has taken longer than we were told. Forecasting, Budgeting, and reporting. We were in excel and had issues with keeping tabs of the last version. We use the reporting and planning modules daily and they have helped a great deal. Teach as many people reporting as you can so they can be self sufficient. It's very easy to use but cumbersome if only 3 people are making reports for the entire company. We solve many reporting issues in a breeze and we save a lot of time reporting. "Host is flexible and powerful"
The application is managed entirely by FP&A while still allowing budget owners complete ownership of their planning. We are able to revise forecasts monthly allowing more accurate and complete reporting. Customer Support is very responsive and I feel like Host responds to customer needs. We have been using Host for 5 years. Many new enhancements have been introduced with a additional fees. Be thoughtful about how you want to use the application and fully utilize Host personnel to meet ALL your objectives. They are willing to get you to your end result! Planning, reporting using HR, Capital planning, initiative planning, FPP and other features. We publish results by 6am on Day 1 and publish forecast by Day 5 of close. Yes, we have streamlined our month end reporting process. Processing times are long. In core application, we spend alot of time waiting for templates to open up and then there are processes to run after data is entered. Looking forward to the release where modeling data cube will be updated automatically. Allocate lots of time to implement the system to tailor to needs to the company and if possible to set up templates internally. Our company has rapid expansion and excel model just cannot keep up anymore. The ability for more than one person to be working on the budget/forecast is indeed a benefit as well. The capability of modeling reports to look the way our CFO wants with all the details accessible all in one tab is awesome. "Host has improved both forecasting, budgeting and report processes for our company"
We had a very manual budgeting process with excel report tha would often crash. REporting was also very manual and would take several hours to complete, Our first year on Host we were able to produce multiple scenarios that gave management better oprtion for managing our business. Reporting now takes 30 minutes in Spotlight! "Great to Organize Data and Forecast"
Host is great for organizing a large amount of financial data. It is highly adaptable for growing and every changing companies like ours. Helps streamline our forecasting process and eliminates human error. Flexibility and automation of reporting and forecasting. "Satisfied with financial rigour and structure the software provides"
Seems to be very "clicky", you always need to be clicking things to navigate the software. Also, as someone that uses the software every 3 months I find it takes me a while to figure out where things are. Buttons or menus seem to change constantly. "Agile and smart platform that sometimes grows faster than they should!" really robust and customizable solution that can be tailored to any business. Products get rolled out before the Customer Success team can be fully trained. Make sure you understand what you're attempting to solve before implementing. Don't try to do a re-org & change your chart of accounts while going through implementation. close speed, no more chasing data. we get to spend time doing the important things, like business partnering. We can now focus on looking out of the windshield instead of the rear-view mirror. I like that I can refresh data that was changed in my ERP system instantly within host and regenerate a new report in a fraction of the time I could with my previous solution. Trouble integrating automation with SAP Business One. Commit to the implementation. Ask questions of your ERP provider to head off any data integration issues before making business decision to implement. Reporting and budgeting/forecasting. Both the accounting and FPA group are excited about the time savings Host offers. "Hostanalytics, a easy way to get out of excel. " a large amount of financial and statistical data that Host has helped me organize into something I trust to and manipulate fast. Can be a challenging to set up a new template + initial system set up. Put more time in implementation time than what Host team says. Team speed, fidelity, flexibility, and automation. "Host Analytics Espouses the 2nd "S" in "SaaS""
Host Analytics is a fast growing, SaaS-based IT firm. Tremendous growth often comes at the price of a winning customer experience, but our 3 1/2 years as a Host Analytics customer has been an exception to that rule. The service and Help Desk teams at Host Analytics are outstanding and the product itself has revolutionized the processes by which we report and consolidate data at iCIMS. Data visualization is a shortfall in all EPMs (Adaptive Insights, Hyperion, Anaplan, etc.) While BI tools such as Qlik and Tableau are more useful for communicating financial information to a non-financial audience. We've successfully automated our month-end close process and leverage the tool heavily for strategic planning. Host Analytics uses the excel platform which makes it easy for any one to learn. It is easy to roll out to managers. There are many cool features like budgeting on the subline level, collaboration. The reporting module is great and Host is constantly evolving and updating it's features. Great team, very available and supportive. There is nothing I dislike about Host. "Less than one year post implementation"
it's in the cloud and you can structure secure budget templates. You can add line item detail including notes, and also upload related support documents per line item. There currently isn't a capability to report on all line item details (subines, notes, uploaded documents), but I'm sure that will come in a future enhancement. They are customer focused. Product features are addressing real customer needs. They invest in emerging infrastructure and security requirements. we implemented Host Analytics to have a more scalable solution that using Excel workbooks. We got rid of the Excel workbooks and now all budget managers can log in and concurrently work on their respective budget templates. "Host has increased team collaboration and efficiency"
Helps to consolidate all data across finance team in one system to create one source of truth. "Best way to consolidate data for analysis"
"Host Analytics enables Finance team to scale at rapidly growing tech startup"
The time to create a forecast is a lot quicker now than it was in the past. The new MyPlan feature is something that is extremely interesting and I can't wait for it to be implemented. This feature will definitely have a positive impact for our company. There is definitely a learning curve that's associated with this product. When I first began inputing data from an excel sheet into the forecast, hidden rows were an issue. Host Analytics has allowed us to go from an annual budget to a 5 quarter rolling forecast. This has allowed for a more dynamic forecasting process. It is straight forward for reporting numbers. Easy to learn, simple user interface. Easy to run numbers and export reports to Excel. Easy to schedule reporting jobs and create reporting packages to send out on a scheduled basis. It is slow to load reports, and not aesthetically appealing. It has a Excel look and feel, which makes it easier to learn. Reporting of financials. Easy to use and download reports. "Difficult in terms of Host support"
The opportunities, I feel, are really endless, but knowing those opportunities at the time of implementation is really important. The implementation process was rough, and to point everyone to the EPM Academy is foolish. I, as well as many that I speak to, have had to sign an additional SOW with a 3rd party for additional support to continue to improve. Support tickets even entered at a high priority take days and even weeks to get resolved, with little follow up from the support group. "Host Analytics' - Great Cloud Solution for Automating KPI Reporting"
The reporting tool in Host Analytics is high quality and easy to use. I like how Host Analytics can integrate with other systems through APIs to bring data into the system. Also the help desk teams are outstanding. Visualization is a shortfall with Host Analytics, however, with the new Qlik integration, this may not be a concern in the future. If you want to automate processes, Host Analytics should be one of the solutions to look at. They have an outstanding customer service team and the tool is easy to use. Automation of the departmental operational KPIs. This allows the team to spend more time analyzing the results, and less time consolidating the metrics. "A solution to not think twice about." high-quality reports are a click away. The overall interface is intuitive and functions much like a pivot table in Excel. Report sets can be created and used in multiple reports, so modification can be done based on different needs per report. Reporting on statistical items like headcount will require some sophisticated tweaking. Overall efficiency has increased and will continue to improved as the team continues to learn tips and tricks. I like the ability to easily create scenarios & templates. It is a relatively intuitive tool. Setting up user security can be difficult. Especially with all of the different ways you can limit access. Map out your financial goals prior to implemintation to ensure that you have the correct scenarios, hierarchies, templates, etc setup. "Great Product - Helps us get the business what it needs"
Flexibilty - easy to change scenarios or work on the fly. We are able to customize Host for our business needs. Implemenation was a bit of a pain, could have been easier on several levels. I like the ability to create reports and dashboards seamlessly based on the same information every other employee is using. Nothing so far. I am right in the middle of implementation. Getting out of our excel based budgeting and forecasting model and bringing in multiple sources of information so all employees are using the same platform. I like how it formats the reports in the app. I do not like sometimes it is too slow in responding. "We have used the planning and reporting modules"
I don't like that when you copy and paste data into a template you can only paste the rows that are present on the screen. "I am beginner user, go live is expect within 2 weeks"
All sessions were very good, in terms of moduleI liked dashboard and my plan. I believe should have more positions available into modeling sessions. We are solving planning & budgeting process,, we are reducing the quantity of templates and also doing the consolidation in a best way. * We monitor all Host Analytics reviews to prevent fraudulent reviews and keep review quality high. We do not post reviews by company employees or direct competitors. Validated reviews require the user to submit a screenshot of the product containing their user ID, in order to verify a user is an actual user of the product.